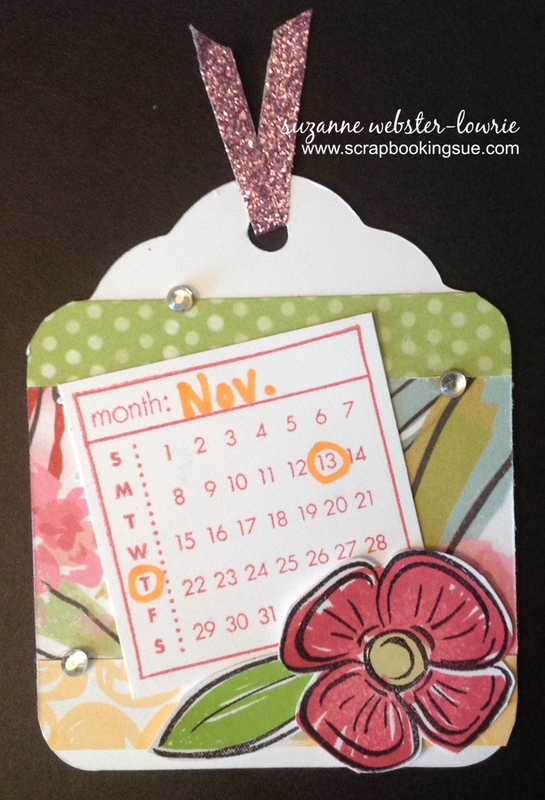 This adorable Mini Calendar stamp can be used for so many things! It is completely customizable and reusable for ANY date. Plus, at only $2.95, it’s a total bargain! 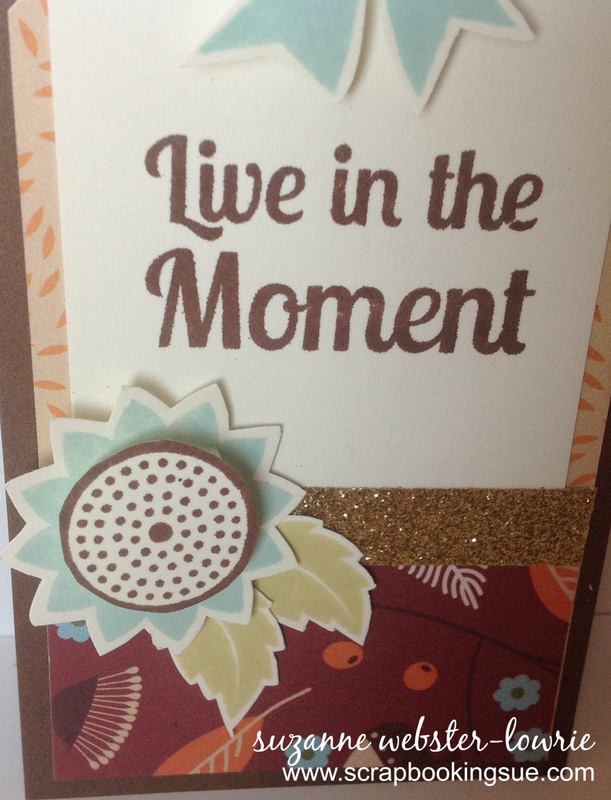 For the tag, I used the Cricut Art Philosophy cartridge to cut a 3.5″ tag out of White Daisy cardstock. 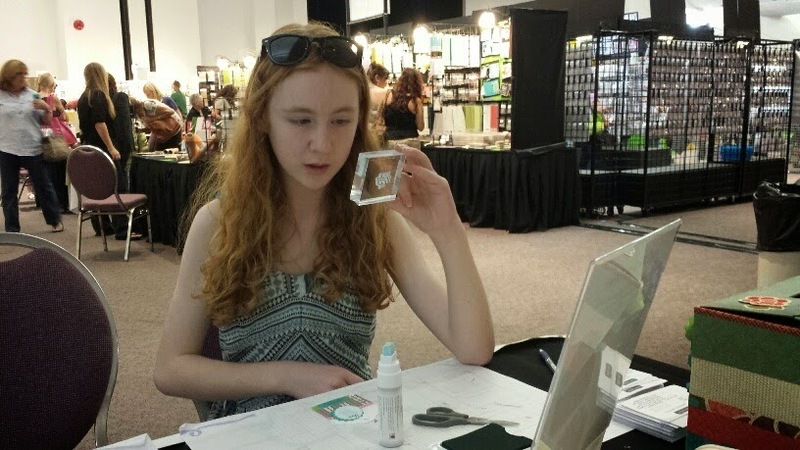 All of the patterned paper was from the Brushed Paper Packet. 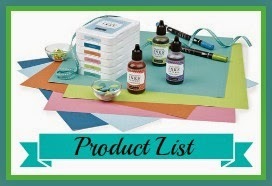 In addition to the Mini Calendar stamp, I used “A Budding Friendship” stamp set to stamp the flower in Hollyhock ink and the leaf in Pear ink. 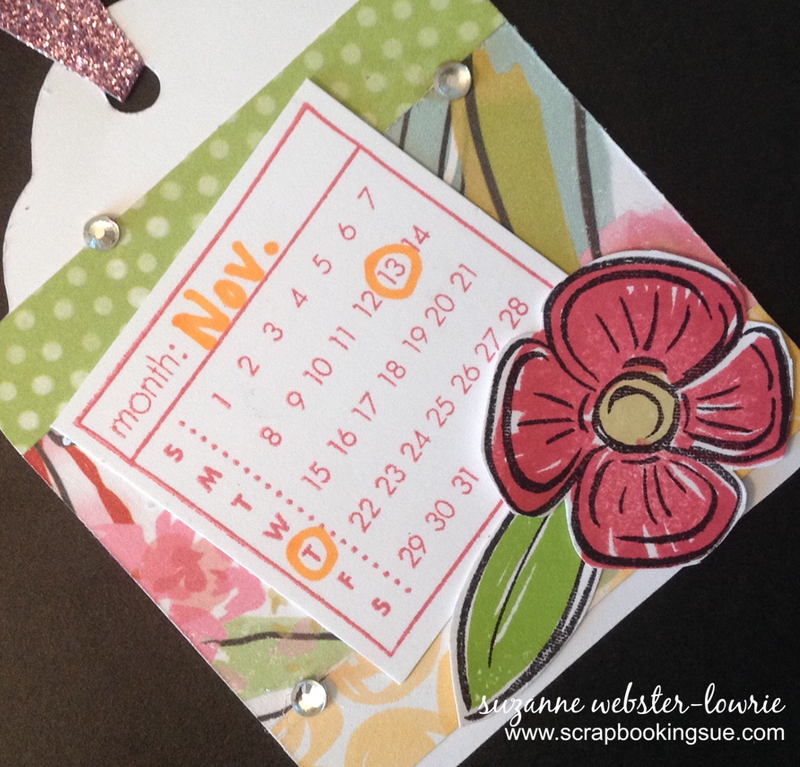 I used the ShinHan Touchtwin Marker in Marigold color to circle today’s date. 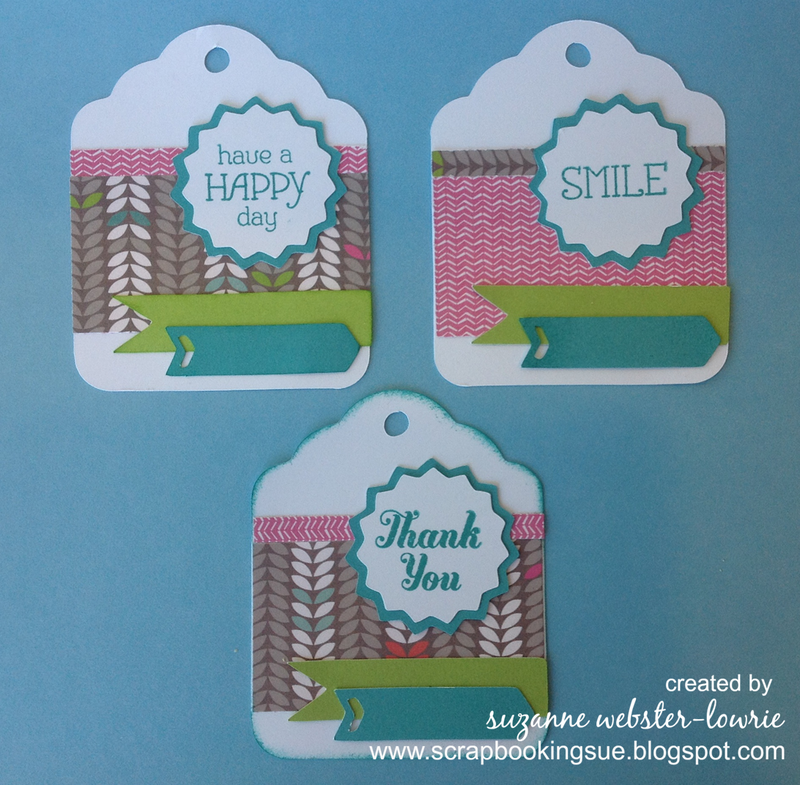 To finish off the tag, I added 3 Clear Sparkles and Pink Shimmer Trim, cut in half lengthwise. 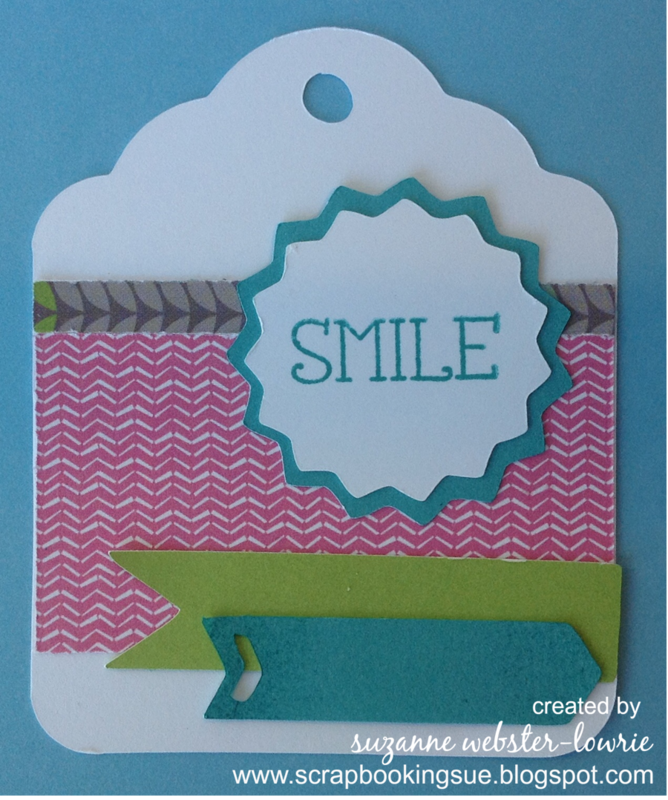 I have a super quick and easy project for you today! 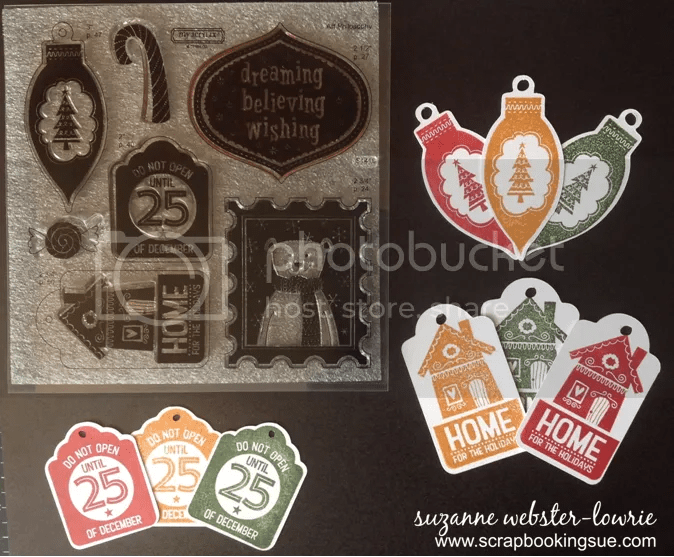 Christmas is right around the corner, and Close To My Heart is featuring a special Holiday/Christmas stamp set for the month of October only. 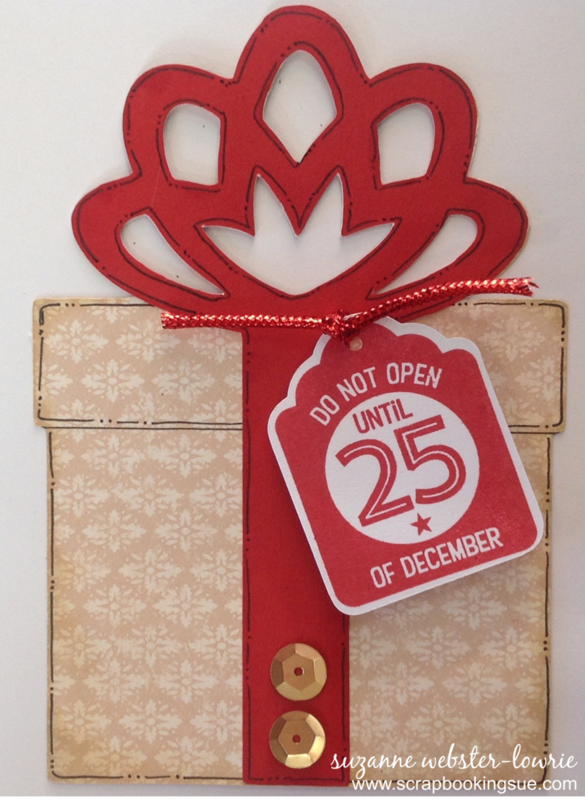 For the Christmas tags here, I used the October “Home for the Holidays” SOTM set and White Daisy cardstock. 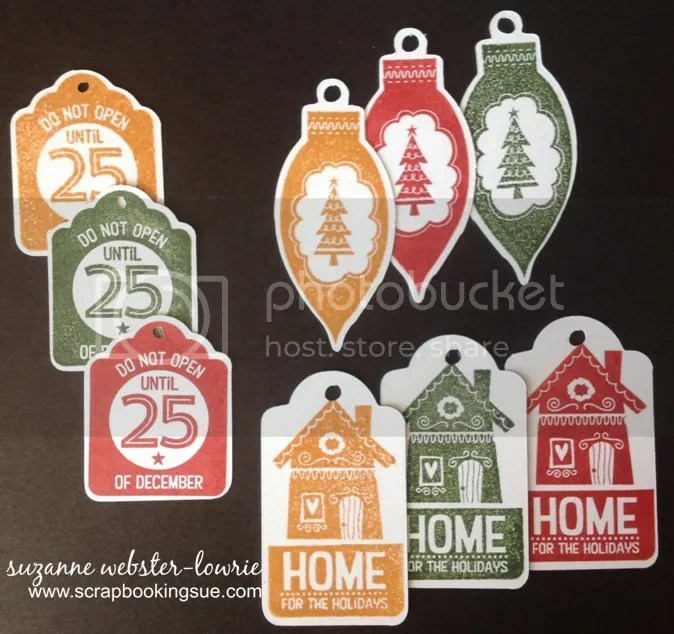 I used the Cricut Art Philosophy cartridge to cut out the coordinating tags for these stamps (the cut sizes are listed right on the stamp set, next to the coordinating images!). 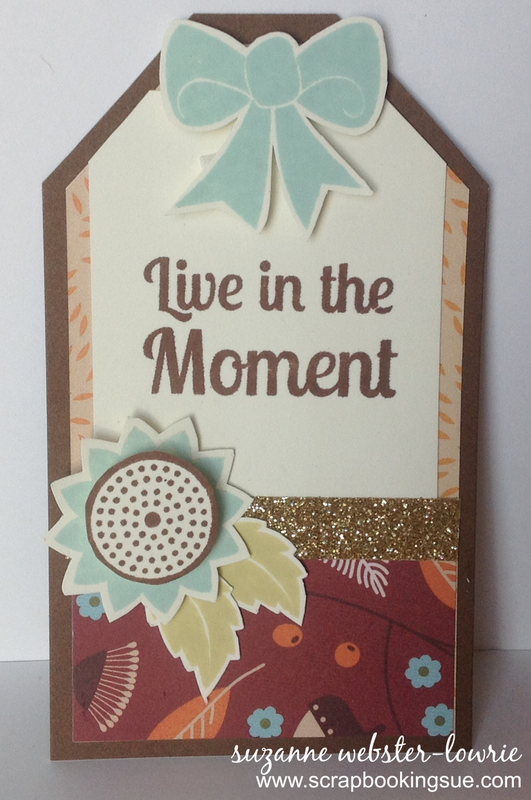 After the tags were cut, I simply stamped the images on top, using Cranberry, New England Ivy, and Goldrush inks! 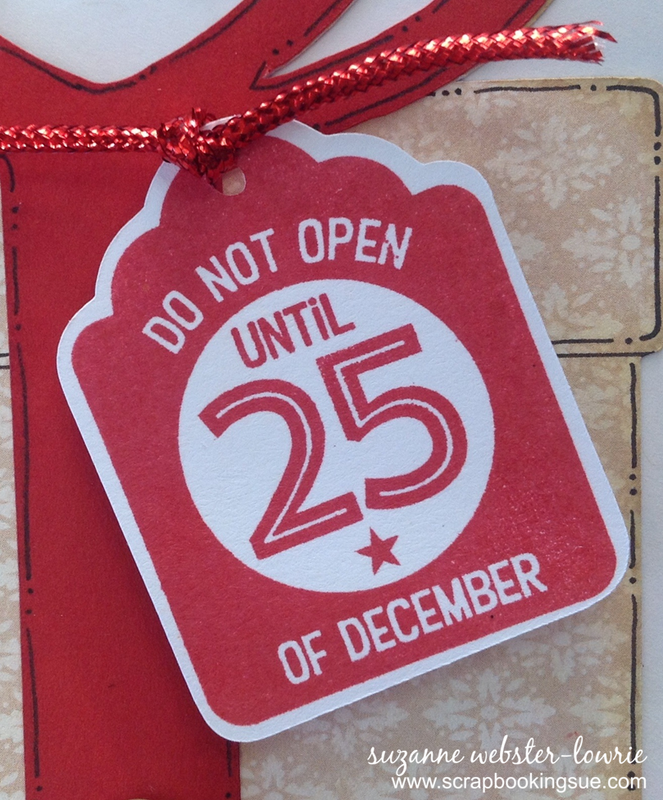 A quick 10 – 15 minute project to get a jump on your Christmas tags. 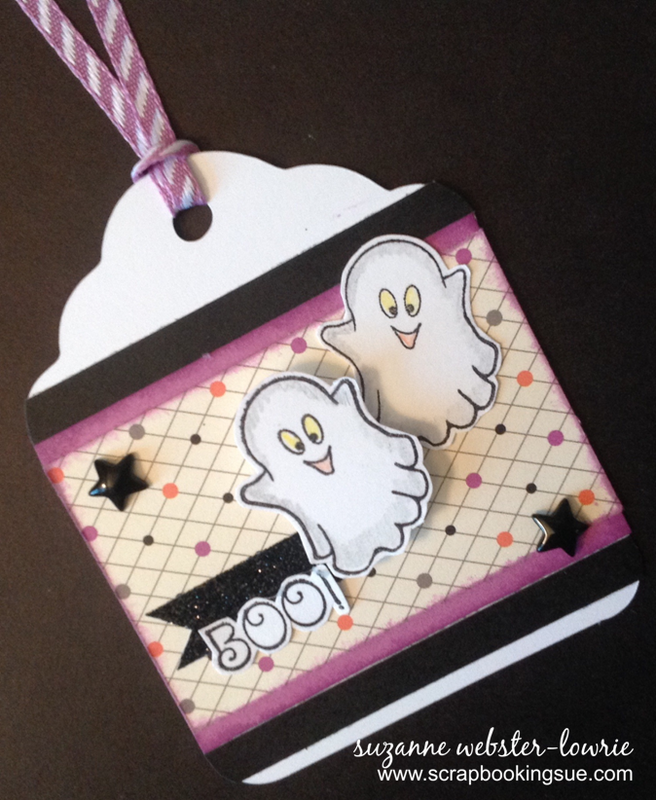 These little ghosts are too cute to spook! I am loving this cute CTMH stamp set called “Frightfully Fun,” with adorable Halloween characters. I’ll definitely be sharing more of this set as the month goes along. 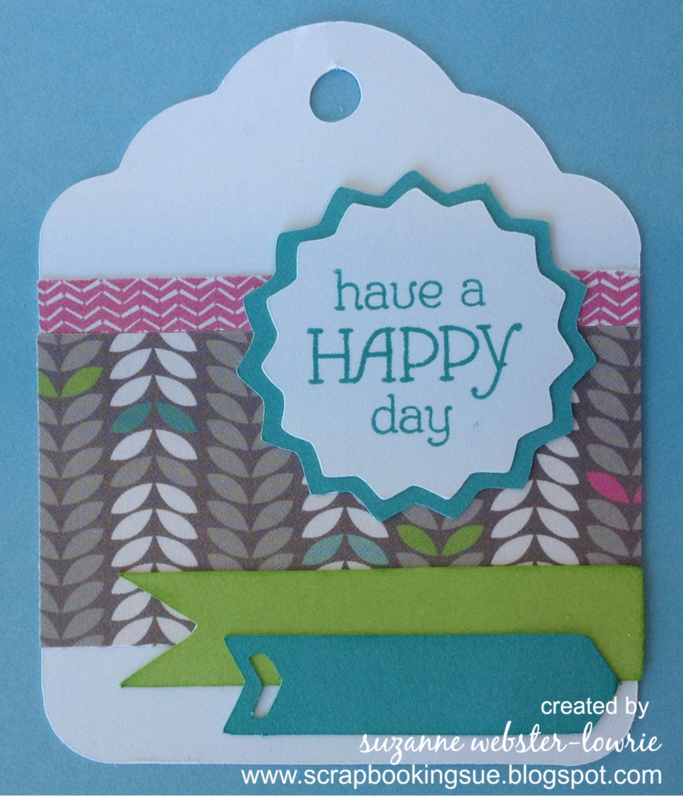 This tag was cut with the Art Philosophy cartridge and White Daisy cardstock. 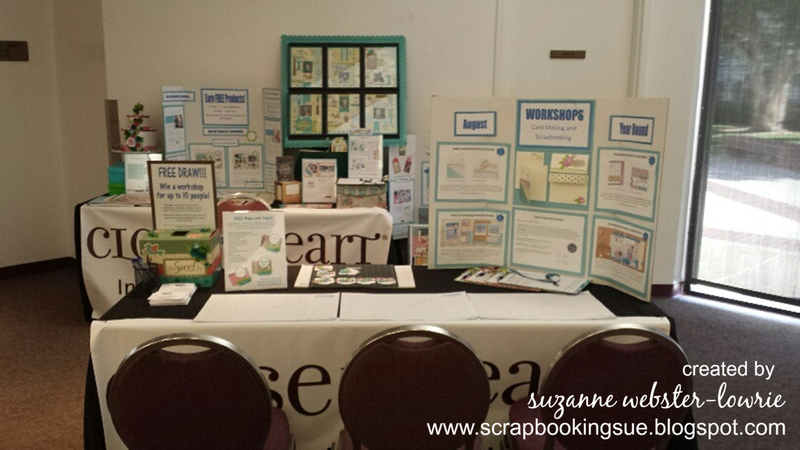 The festive patterned paper is from the Scaredy Cat Paper Packet, and the purple cardstock is a brand new color… Thistle. 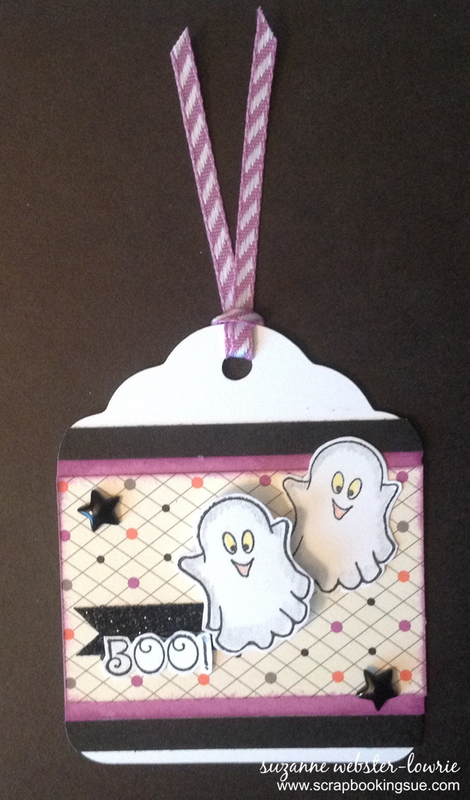 The 2 ghosts and “BOO!” sentiment were stamped in Black ink and fussy cut so that I could layer them. The bottom ghost was glued right on to the paper, and the top ghost was attached with foam tape for a nice pop off the tag. For some extra dimension, I added some sparkly Black Shimmer Trim and a couple of Black Enamel Stars, found in the Scaredy Cat Assortment pack. 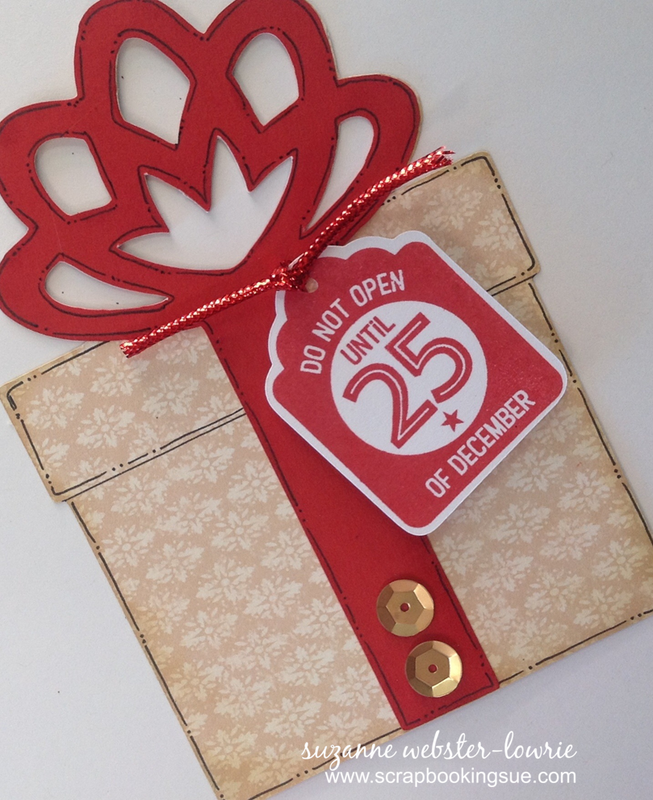 To finish off the tag, I added a strip of Thistle Diagonal Striped Ribbon through the top of the tag. 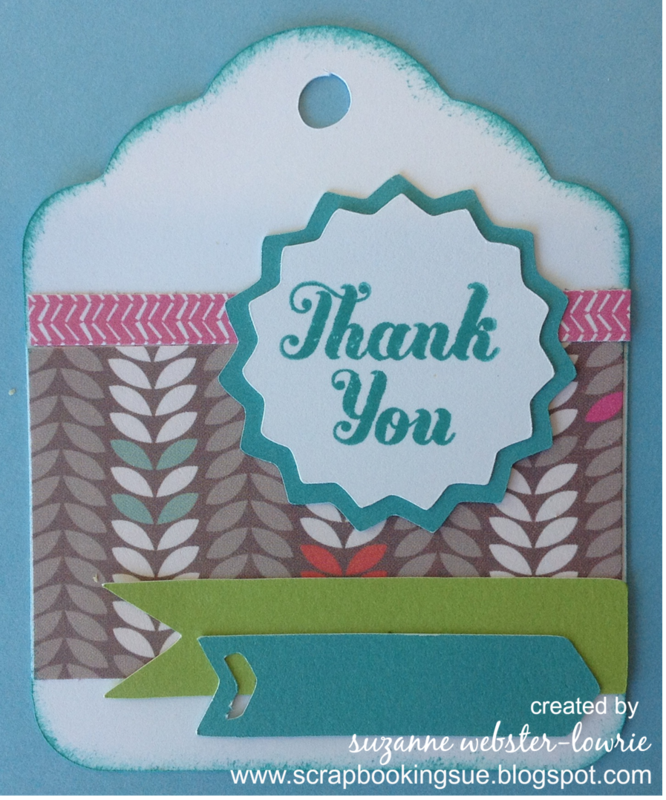 This tag would be great attached to the front of a card base, on a scrapbook page, or as an actual gift tag on a present.